Rose Allatini’s novel When I was a Queen in Babylon (1921) is uneven, but contains many pleasures and surprises. I’ll write a fuller account of it later, but now want to ask: Is this the first English novel to contain a description of Freudian psychoanalytical sessions? Plenty of other novelists were interested in Freudian ideas – notably May Sinclair, who played a significant part in the foundation of the Medico-Psychological Clinic, and was on its Board of Directors. She dedicated her 1914 short-story collection The Judgment of Eve to the clinic’s staff. 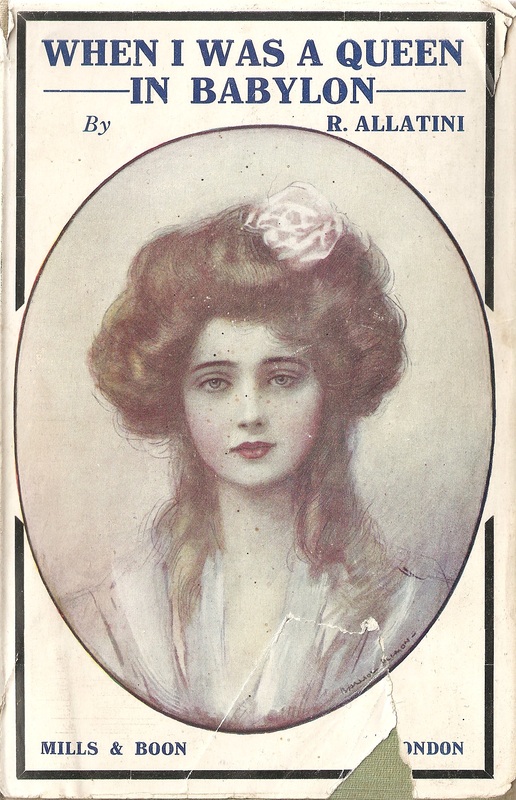 Sinclair’s novels – for example Mary Olivier and The Rector of Wyck -use Freudian motifs, but I don’t think she ever described psychoanalytic treatment. She had to tell him her dreams, too: although she hated the man with his poking and prying into dark corners, she was cowed into obedience by his staring light-blue eyes. If he had asked her what his eyes made her think of, she would have said a dead fish – no, on second thoughts, something cold and sharp like a knife suddenly thrust between your shoulders. the analyst does not come close to understanding the voices in Pixies head, and her father decides ‘the rate at which his guineas were disappearing into the psycho-analyst’s pocket was not justified by a corresponding improvement in Pixie’s condition’. She is moved on to other, even less pleasant, treatment. I think the consensus is that Italo Svevo’s Zeno’s Conscience (1923) is the first novel to be based on psychoanalytical sessions. Allatini’s book predates this, but the Freudian therapist provides only one section of a very various book. But are there any other earlier fictional descriptions of analytical treatment? This entry was written by George Simmers and posted on June 13, 2015 at 12:13 pm and filed under novels with tags May Sinclair, Medico-Psychological Clinic, psychoanalytic treatment, Rose Allatini. Bookmark the permalink. Follow any comments here with the RSS feed for this post. Post a comment or leave a trackback: Trackback URL. How about Dr Anderson in “The Return of the Soldier”? Although the “treatment” is somewhat miraculous and simplistic, he seems to be presented as a psychoanalyst of a sort, who talks to people about dreams. Allatini, though, actually shows us the therapist at work, and from the point of view of the patient.